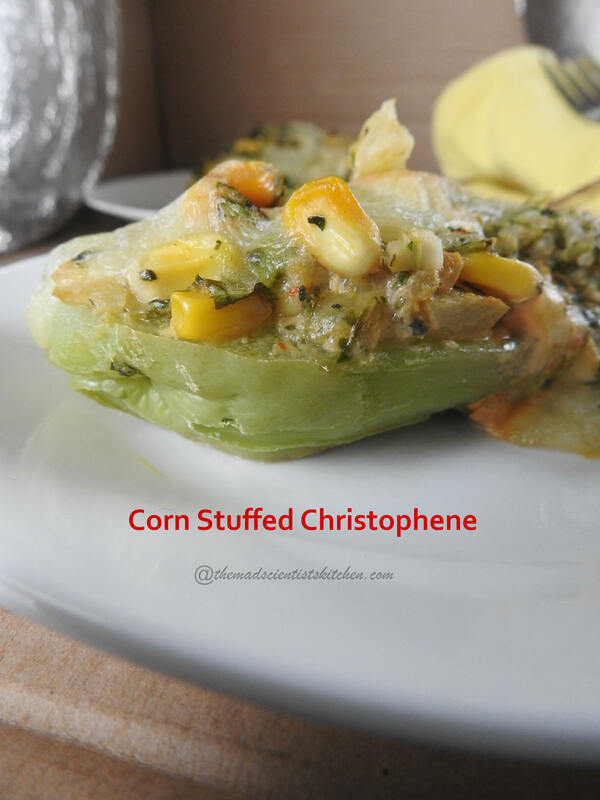 Corn Stuffed Christophene/Chayote sounds exotic? This was last year when I was at home for about 2 months I went to the market and brought what in Kannada is called “seemebadnikai”. Hubby was not too happy but let me be. In my maternal home, we make a dry vegetable with moong dal and it tastes quite good here no one likes it. This time I decided to make something different. 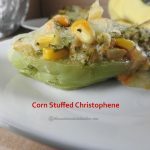 I asked in our BM group and Mireille suggested I try this Corn Stuffed Christophene. Chow Chow or Chayote, christophene or christophine, chocho, mirliton or merleton, chuchu, Cidra, Guatila, Centinarja, Pipinola, pear squash, vegetable pear, chouchoute, choko, güisquil, Labu Siam, Ishkus or Chowchow, Pataste, Tayota, Sayote is an edible plant belonging to the gourd family Cucurbitaceae, along with melons, cucumbers and squash. Mir has said that raw chayote that might make your hand itch so handle with gloves. I have made slight changes to suit the availability of ingredients for the original recipe visit Mir’s place. Also, I forgot about 5 coriander leaves it looks like I used 5 cups but no I used about 1/2 a cup chopped. The reason why I am posting this recipe now is that I am participating in Bake-a- ton. We are a group of bloggers and every year in December Srivalli, our gang leader organises it. We bake and post 3 days a week. The only condition is baked!!! Do try it out and join the fun. 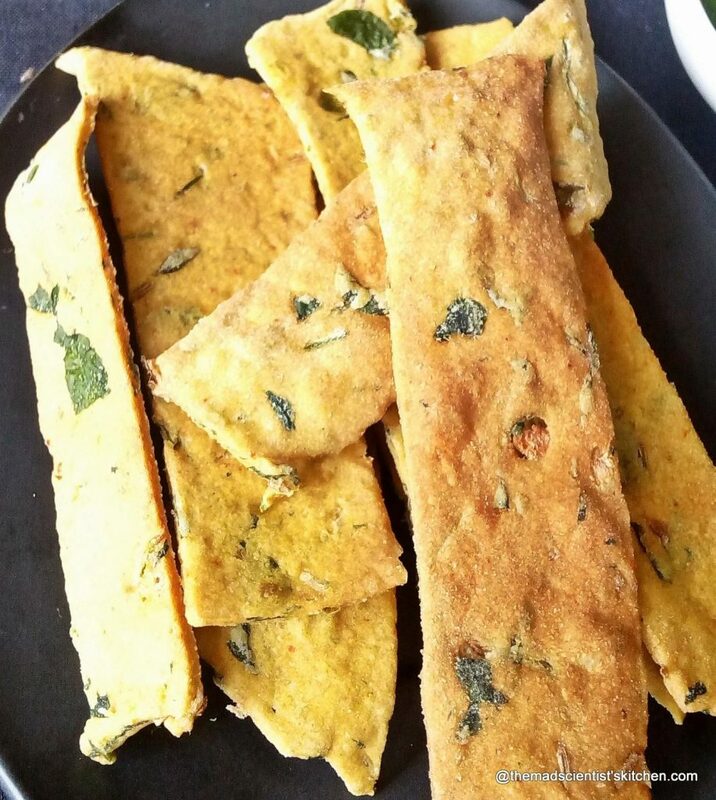 This is the first time I am joining the Bake-a-ton, in fact, I started on the basis of 1 recipe now I am posting long pending dishes tried out and whatever picture I can find. Peel christophene, cut it along the crevices in 2 and peel them there too. Remove the central core too. In a pan add water and about ¼ tsp of salt mix. Add the christophene add more water to cover the christophene and cook on high heat until tender, about 20 minutes. Meanwhile, mix the corn, capsicum, coriander and spring onions in a bowl. Add milk, breadcrumbs, thyme, salt and pepper. Stir well. As soon as the christophene are done drain them and run cold water till they cool down. Scoop out the flesh from inside, leaving about 1/2″ shell. Chop the flesh and mix with the corn mixture. Check the seasonings. Preheat oven to 180°C/350 F.
Fillchristophene with the stuffing and top with cheese. Place in a lightly greased baking dish and bake for 30 minutes, until cheese melts. An exciting new way to eat chow-chow! Omg Archana, you are coming up with super duper interesting bakes yaar. 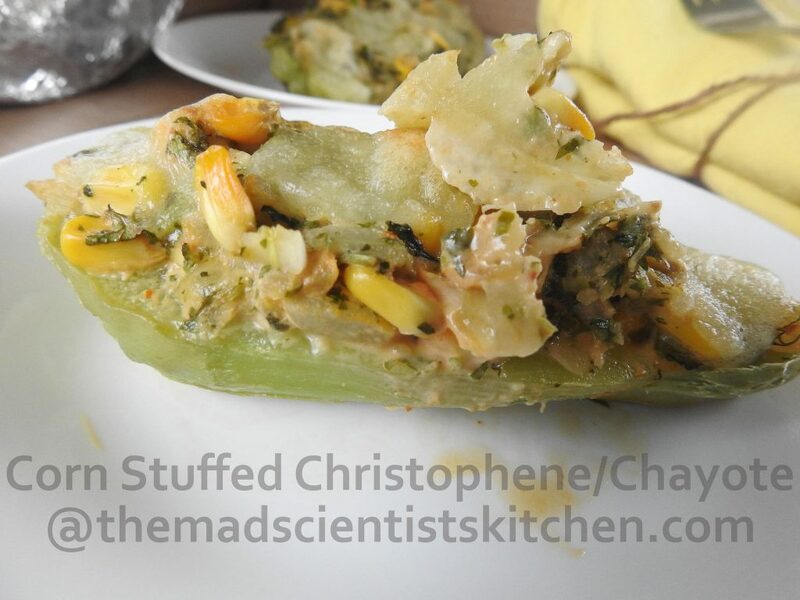 Am in love with this stuffed chayote, what a tremendous dish. I have never used this squash , infact we do not get it here . 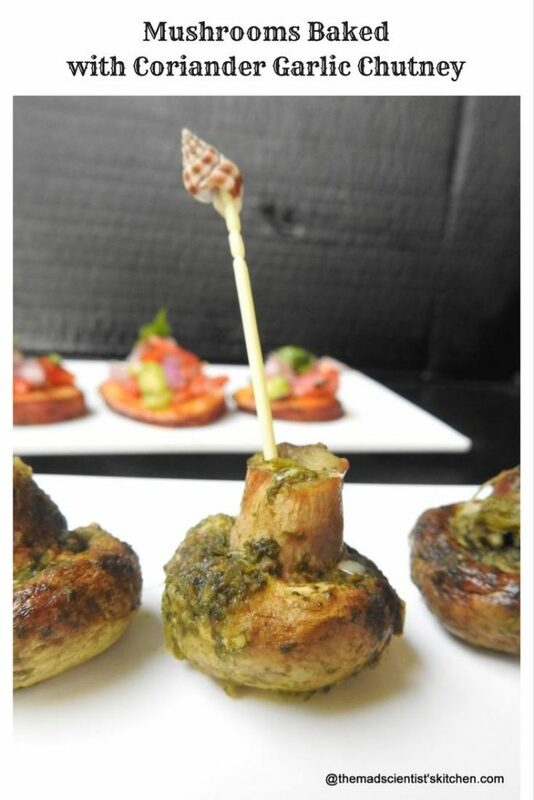 Seems like an interesting dish with a delicious stuffing . 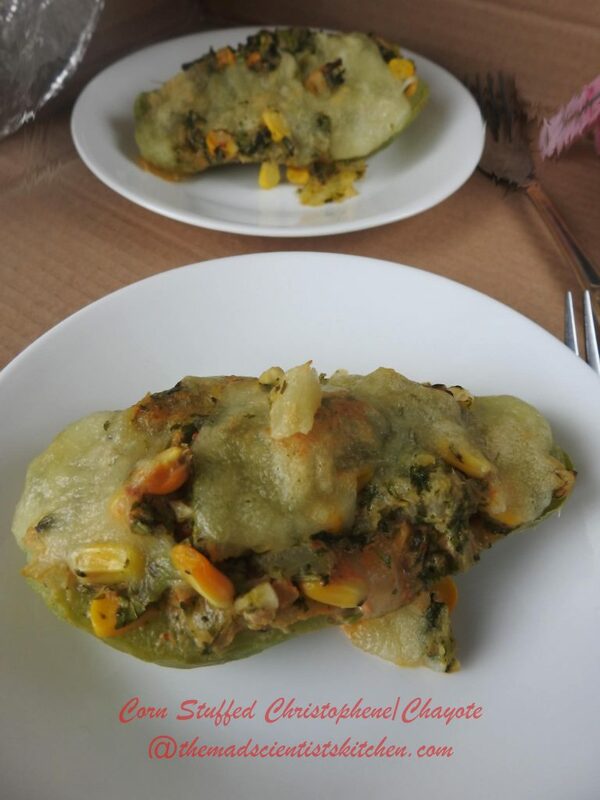 Innovative recipe Arch,looks yummy.Never thought chayote can be used for baking. first arch that name christophene, how stylish yaar, didn’t know our humble chayote has such a phataka name!! seriously we call it marrow/chow-chow. I called my whole family and announced the phataka name of chayote!!! Thanks for enlightening us!!! Love this bake yaar, can imagine the amazing flavors on this baked veggie!! I m definitely trying this, for christophine sake!!!!!! LOL! Not stylish exotic! 😀 Thanks, Priya. Ok this is what you guys were talking about!!! I can’t wrap my mind around this but then it looks yummy. ..very nice twist. Never know this humble chow chow can be styled this exotic.. Indeed a veautiful creation!! That is a new way of using chow chow. And it looks so great. No one likes this veggie at my place too. So I may need this recipe in future..
:D! Same story in every house! I am a great fan of chayote but I am hearing about this for the first time. Such an interesting recipe. The cheesy bake looks absolutely delicious and this is an interesting recipe.. I am going to give it a try. Haha who knew that chayote had such a lovely name! Always love stuffed and baked vegetables, such a delicious way to enjoy them! I too never knew that our humble chow chow had such a stylish name until Mir enlightened us! 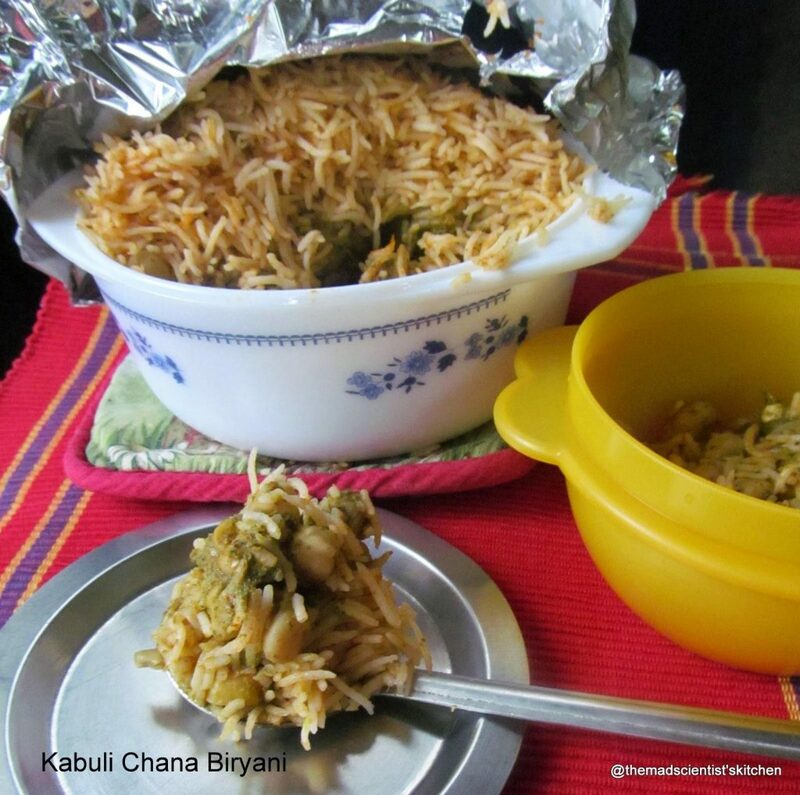 I am yet to guess how it tastes on baking but looking at your presentation i guess I can make my kids eat this without letting them know it is chow chow and announcing that it is Christophene! !